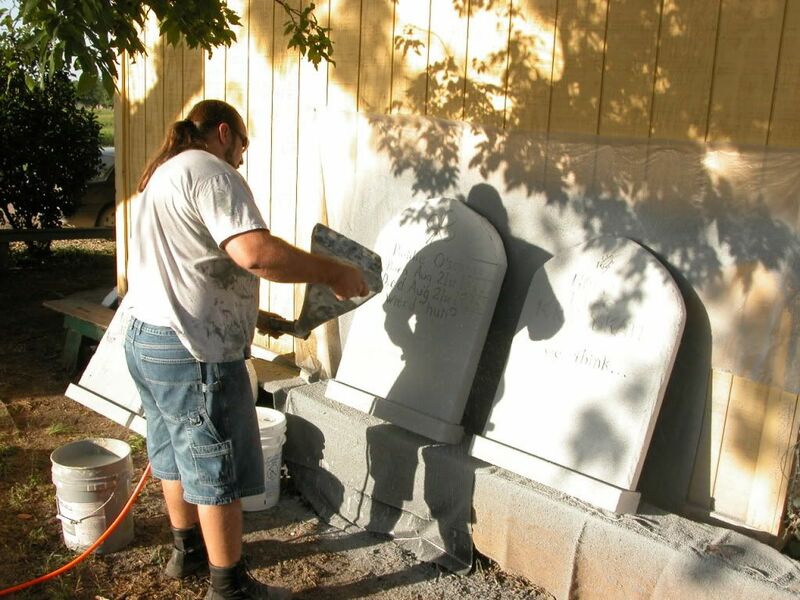 Where do you get "synergy" stone coating? Or any coating for foam? On the HauntWorld DVDs, there is extensive mention of a material called "Synergy" that is a stony coating that goes onto carved foam. Larry fails to mention what it is, where it's available or even if "Synergy" is the correct spelling. If it's a brand name it could be spelled Sinnergy or Sin'R'Gee or any of a million ways. I can't seem to get a lead on the stuff. I'm in Oregon, so it possible that Synergy is a brand that's not available here. Can anyone tell me what it is so that I can find it or an alternate product? You'd be helping me out with a problem that's plagued me for years. Do you use a base coat first? 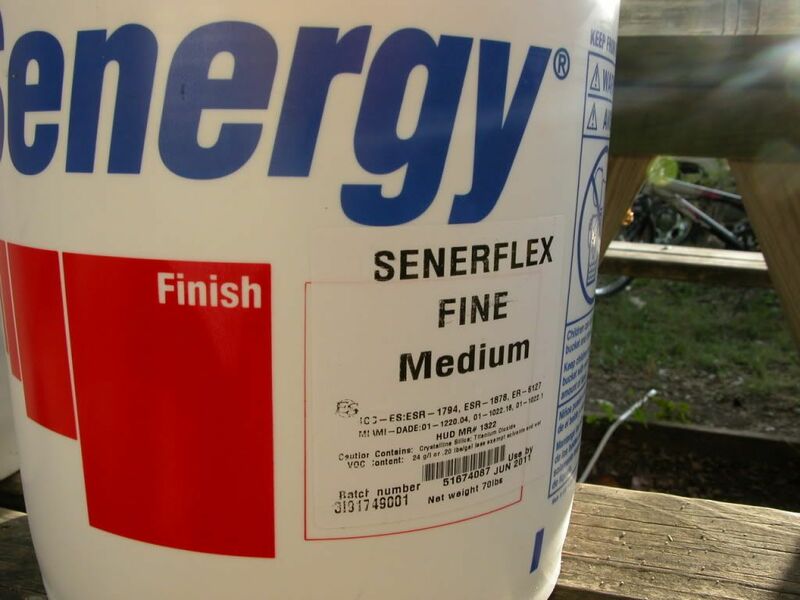 ***No, nothing, just senergy, then I seal with a water or concrete sealer, but I have done large pieces and never sealed them and they are still fine five years later so the sealing is just cause I wanted a glossy wet finish for those applications. 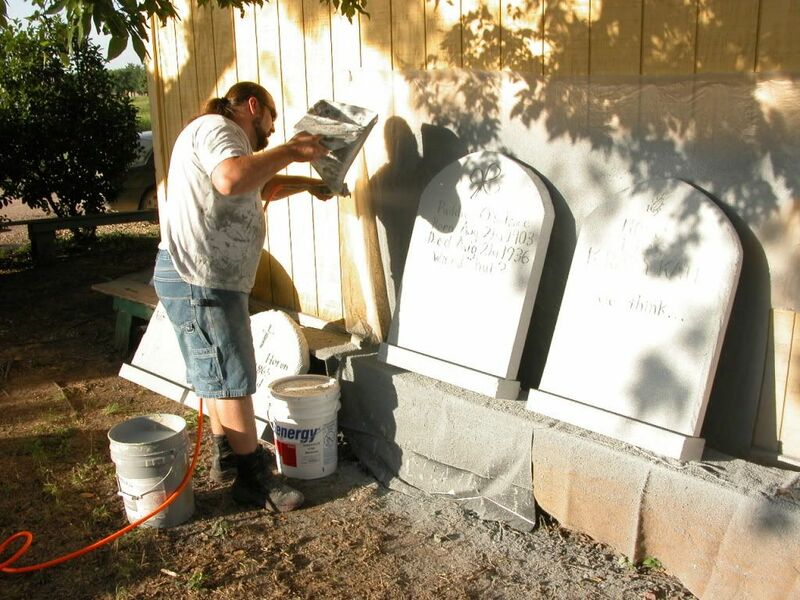 or do you roll the finish coat right over the carved foam? I'm wondering what is the best and fastest way to cover some very large foam facades we are building for outside use. ***I have never used UGL so I cant comment, you can put the senergy on as thick as you want in one coat by spraying so I only ever use one coat. ALLEN!!! You rock like Slayer, my new best friend! Thanks! WOW!!! I think you rock too I can't wait to get started with my new tool. I'll post some pics with the finished result. What's a 5 gallon bucket cost? Found it in Tampa for 45 a bucket. I want to try it out on some foam carving. Is it kind of like rubber roof paint or more like a stucco cement? Just wondering how strong it will be. Its the love child of rubber roof paint and stucco cement. It is a slightly elastic coating, so the surface can still be pushed in with enough force. Mostly due to the foam coalpseing under it as opposed to a weakness of the coating. Sounds good. I like the idea that I can spray it with a hopper gun. That will save time. Damon we used to use Senergy quite a bit at the scenic shop I worked at in Jacksonville...It really is a great product. It isnt limited to applying over foam either, it can go on wood as well. I also think you can get it with different size grits but I might be wrong on that.